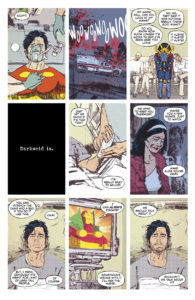 Instead, Heroes in Crisis seems to take a cue from an old Neil Gaiman quote: “The world is always ending, for someone.” This carries with it the idea that a single event, virtually unnoticed by the wider canon, can feel every bit as big as a Blackest Night or Metal for the survivor. It’s hard to believe, but even into the silver age, heroes used to get regular vacations. Flash would fight Captain Cold for one to two books at most, then there’d be a back-up story where he’d have to bust up a ring of bootlegger or jewel thieves, and then he’d have a relaxed issue. He’d go on vacation and get into a surfing competition, or he’d get all fat for a day, or meet Pat Boone. 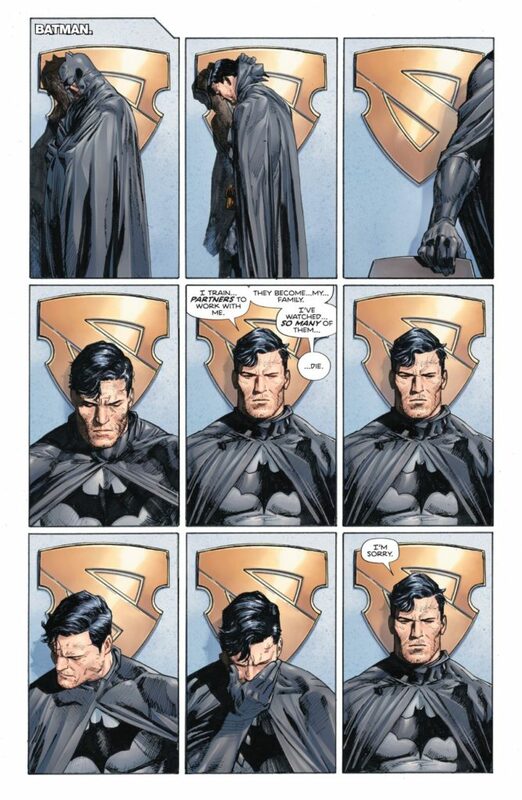 There are dozens of issues where Batman and Superman go water skiing and try on costumes. Issues where they, their creative teams, and the audience relax. But this sort of editorial pacing changed with Stan Lee and Jack Kirby. These men created an inter-connected universe, and pretty soon, DC followed suit. 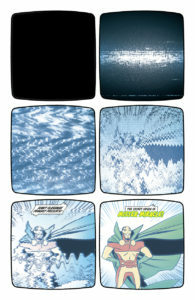 Now Superman was not only fighting Captain Cold, but also Superman villains or Green Lantern villains. That is, when he wasn’t fighting other heroes. 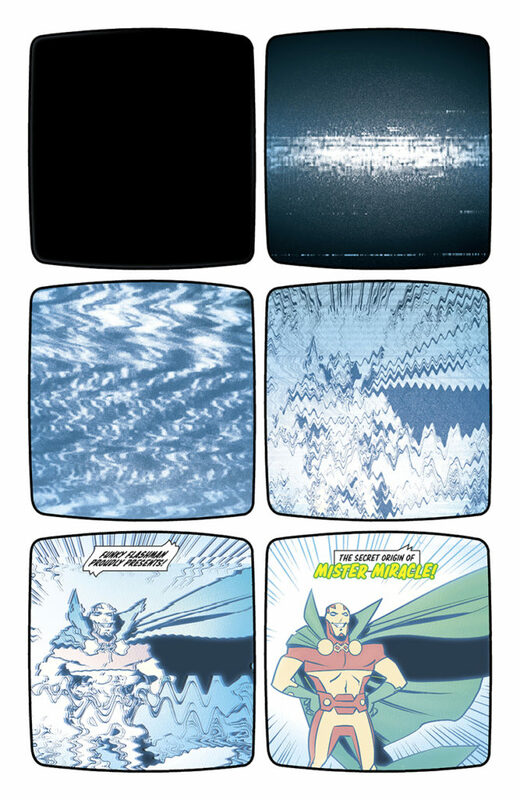 Then Crisis on Infinite Earths happened and our heroes not only learned about the mind boggling multiverse, but learned that their own actions could bring about the destruction of whole universes. Since then, the tempo has picked up. “Vacation” issues are few and far between, replaced instead with more fights, bigger stakes, and longer issue runs. This would be hugely stressful and heroes and villains alike. 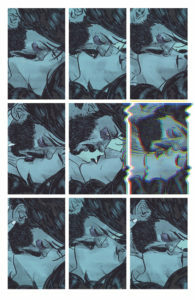 I love the idea of diagnosing this condition, as King has tried to do with this series in ways both subtle and not. I also love its potential for human drama as characters become stressed beyond their breaking point. These pre-existing concepts already feel powerful. 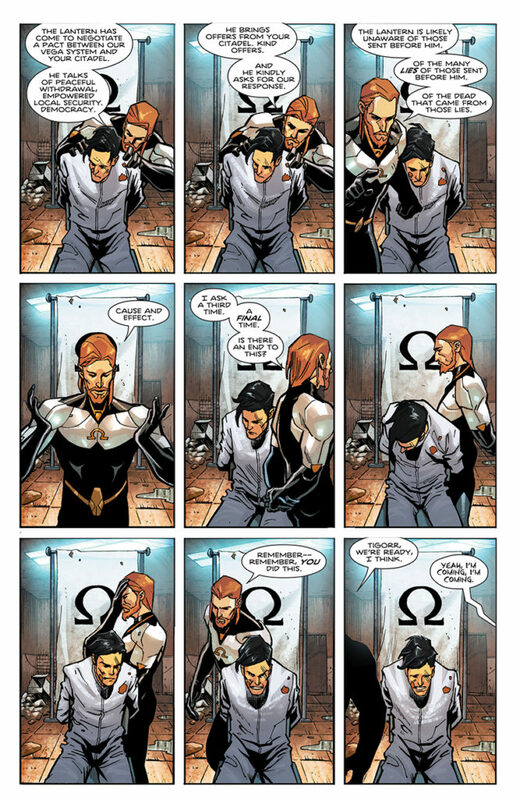 As does the new concept of a place like Sanctuary where characters could feel like real humans rather than merely costumes and deal with their own publication schedule. All of these things feel believable, at least by comic book standards. We learn about Sanctuary primarily through pre-recorded tapes that seem to document therapy sessions. I love this idea, and how Mitch Gerads and Clay Mann capture them in the cultural vernacular of interrogation tapes or reality TV confessionals. 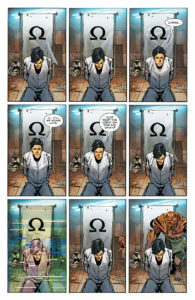 Sadly, the claustrophobic nature of these layouts doesn’t help in making Sanctuary feel substantive. And while the individual narratives can be compelling and beautifully rendered, the sheer number of them add to a kind of noise. There are so many wounds to track that it’s hard to focus on just one. 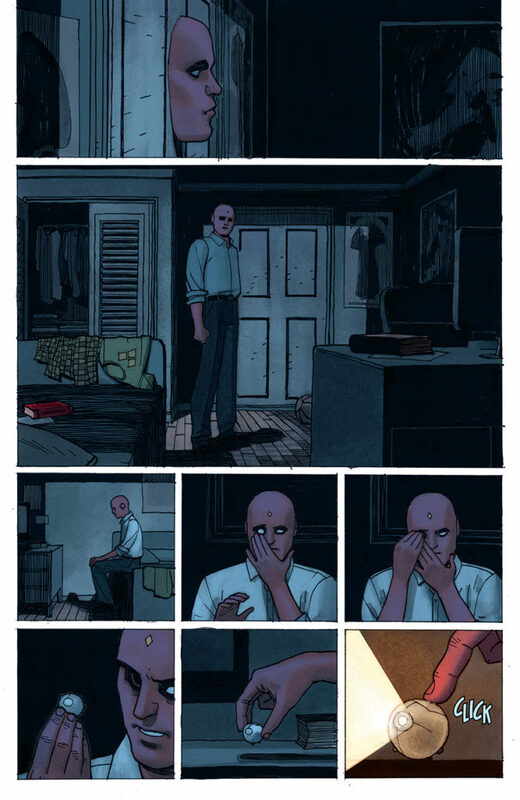 Time in Tom King books really does revolve around the main character’s wound. Flirting with their trauma at a distance, revealing it, moving through time to show it’s formation and growth. Time makes a threat of that wound. But here, with so many characters, it’s hard to find the signal through all the noise. A common complaint has been that making Wally the antagonist is so out of character for him and so painful for the reader. Both of these reasons are the exact reason I like the idea. 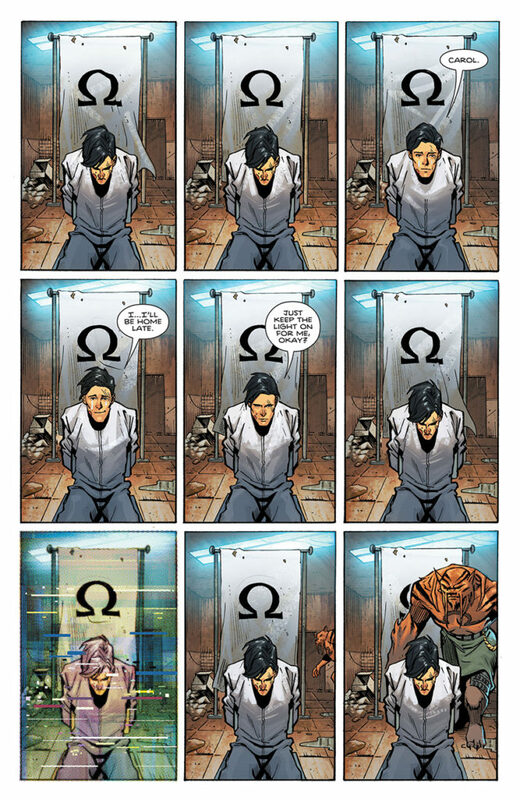 After all, using Kyle Rayner in Omega Men as a way to stoke guilt in the audience worked out fantastic. A world that could turn Wally into a monster is potentially deeply compelling because it feels like an absolute failure on everyone’s part. My problem is that Wally’s wound feels less apparent, and harder to tear open and make raw. This leads to the events having an internal logic, but with so much less feel to them as compared to other King stories. There is another criticism of Tom King’s work. 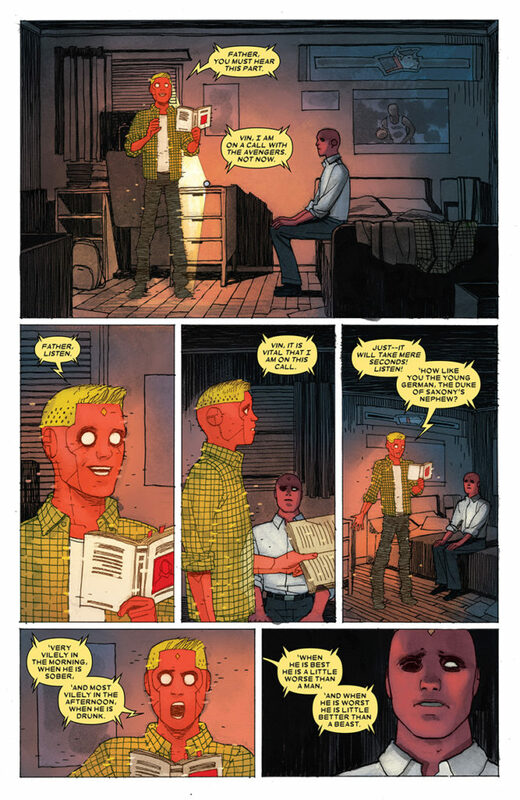 One you could see in every book, though Heroes in Crisis brought it to the forefront: Comics shouldn’t talk about mental health. I’m not going to bother arguing against that. People much smarter than me have chimed in on the subject while creators like Moore, Morrison, Spiegelman, Drnaso, and Brosh have all created grand works dedicated to the subject. So instead, I’ll illustrate the subject. Several years ago, I lived under a near-constant barrage of death threats. It was one of those flare-ups in the eternal drama of the world wide web; two people were fighting, the argument got close to my corner of the internet, I thought the right thing to do was comment, and I was proved terribly wrong. On the first day, I figured I could reason my way out of this with a single, calm, well-reasoned public response. This misstep ensured I saw 18 more months of threats. 18 months of a single, endless moment when I had failed. 18 months of fight-or-flight slowing everything down, of finding myself helpless to check online and see if the threat was still there. Later, I would learn about how addictive that spike in adrenaline can be. Before the ordeal was over, a friend and co-worker would be detained by the police over a “prank” call made by the group after me. I’d lose more friends and my job, as it became difficult to be around me. And through it all, the primitive part of my mind howled for response even as I used every ounce of strength to seem okay. This last part would be the enduring problem of the event. Not the internet drama. Not the job. Not even the loved ones. The longest lasting effect of this has been my brain’s conditioning to trauma. Its newfound need for stimulus and threat. Its inability to endure calm or comfort. Even with ongoing therapy, I find myself flashing back to this way of thinking, satisfied in a way I can never describe by the rush of distress. The real lesson is how trauma can just become your life and that the real struggle isn’t in getting revenge or in being safe, but in letting go of the event entirely. This is what I found in the pages of King’s works and the fearful symmetry they follow. 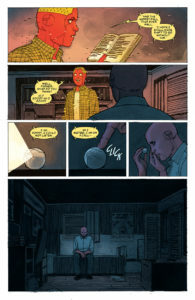 I found this first in Omega Men, a story that mirrors itself. 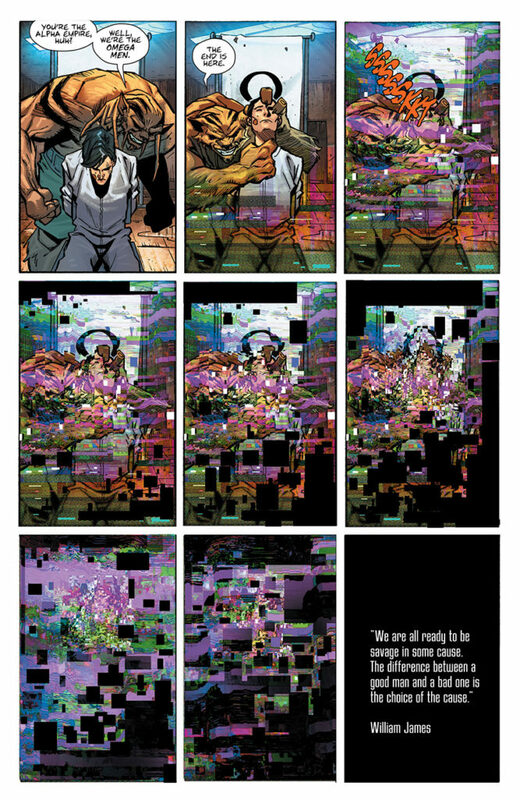 See Kyle Rayner sitting in front of a camera, his image broadcast around the world. This is a soldier, fearing his impending death. Here is a man sitting in front of a camera, his torture about to begin, the terror at his advancing death consumes his world in glitches. 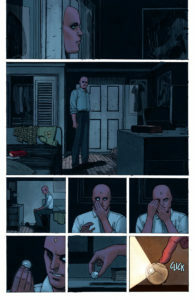 Here is Vision after the apparent death of his son. Like something from a myth, he’s plucked his eye out to receive a wisdom already in himself. The memory hangs in mid air, glitching at the edges like the mother, whose glitch cost a man his life and now may cost the family all of theirs. Here is a soldier, lit by a screen, dying inside, his life falling apart around him. 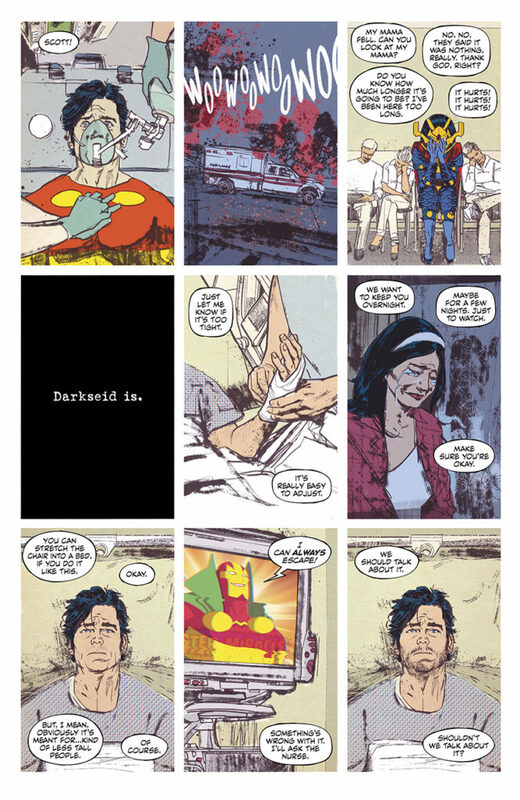 Here now is Mister Miracle, his first appearance in the book as an image on television. 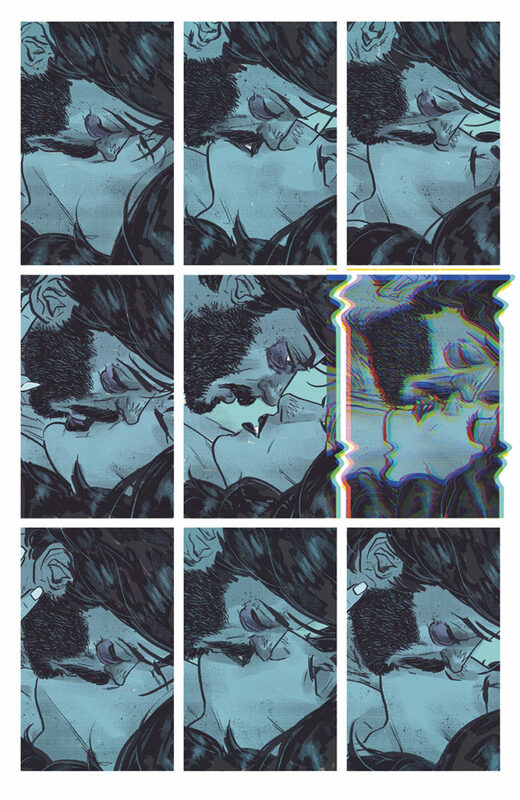 Here’s the fiction of him, glitched already and it’s only just begun. 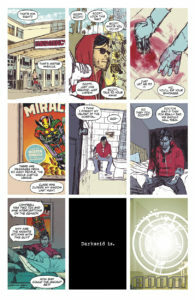 Here is Scott Free, in the hospital after a suicide attempt, his alter ego once again glitched on a screen, either watching over him or taunting him. Here Scott’s home, bathed in the blue hue of the screen as he tries to drown out his life. Here is a soldier, his torture long gone. He is an entertainer, making death into a lie. He is safe, and yet his terror shatters the world into violent color, the glitches no longer confined to the screen. Again and again you see the same thing. We see how our roles can make us into more patterns than people. We see how “disassociation” — the mental defense that makes terrible things seem unreal and cultural adoption of television turn us into watchers of our own lives. Rayner and Vision and Free. Role and entertainment and terror. Again and again and again. 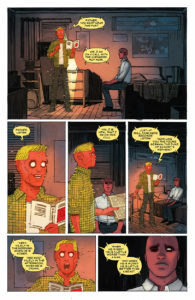 I’d read Omega Men and Vision years before my own trauma. 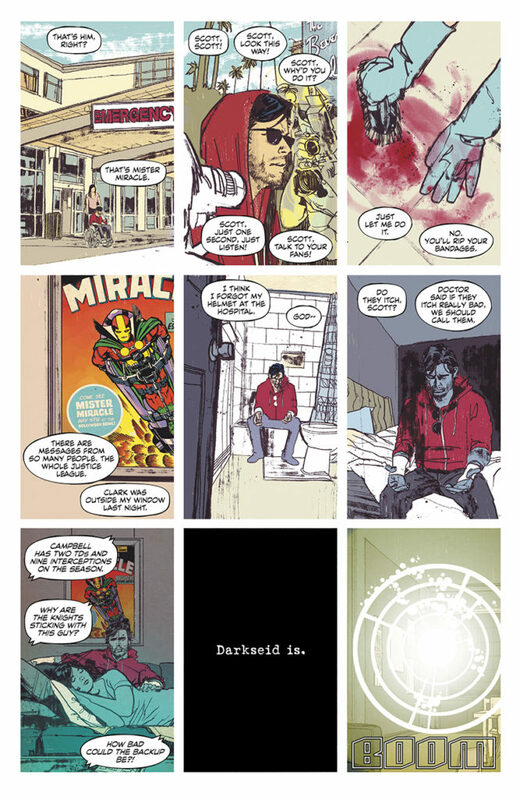 It was Mister Miracle that ran concurrent with my own treatment and it’s this page (left) when Scott’s glitches become real, that was the most shattering to me. It perfectly captured my PTSD experience. Scott has a moment alone, away from the war, his public, even away from TV. Here he is in a soft embrace with his loving wife, and it’s here that his world glitches. This is anxiety, the experience of a mind that has grown so accustomed to trauma and fear that, in the absence of real terror, it will provide its own entropy. 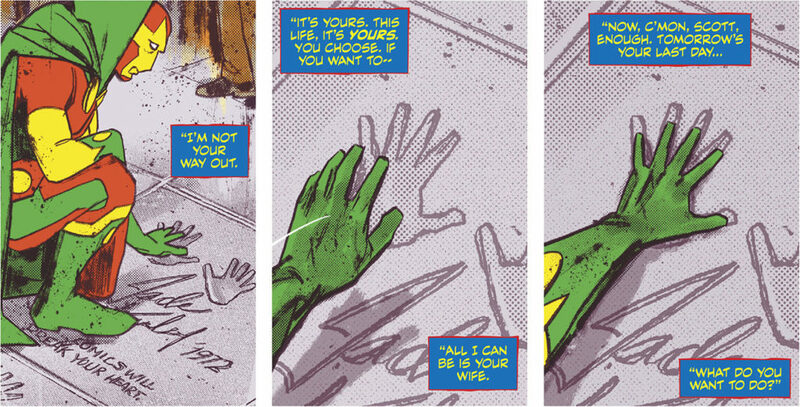 Mister Miracle was deeply cathartic to me. It connected directly to my most private pain, something that I’d only shared with a handful of people. And now all of you. It knew a part of me so well-hidden by my pretense and isolation that I’d nearly convinced myself it belonged to someone else. 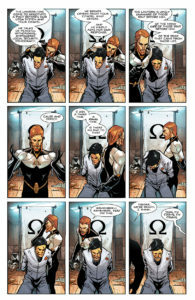 That page was ready to sit there with me calm, static, and patient — so that I could see my pain as an observer. It would be that for me until I was ready to move on. These pages showed me something that I’d tried so hard not to see. This quiet moment shows the terror of being alone with your thoughts. It’s the fear of being vulnerable enough to enjoy something, to be happy about something, to connect to something. Knowing to an absolute certainty that it could be taken away from you, and yet doing it anyway. It showed me that looking for answers or salvation or a fight is just looking to add something more when I already had enough. I was collecting because I couldn’t live with the notion I already had all that I needed. The book talks openly about struggle and expectation. About feeling like a failure and doing things anyway. About how truly terrifying it is to feel locked into and powerless in a world like this. One you cannot stop any more than you started it. And how through all of this, there can be such improbable, such unimaginable beauty. Not as repayment, not to give balance to things. But simply because both things are. It reminded me that there is no fighting this. That I cannot force the world to be anything. There are problems that hurt beyond scale, ones I cannot fight, or reason with, or ignore. Like Scott Free making peace with his gods, all I can do is hold on. All I can do is let go. I respect that. I truly do. But there is something uniquely human to stories like these. PTSD often means sufferers have to relive their experiences again and again as if looking for a way out. Even people without the classification will have moments in their lives they go back to, sometimes unwillingly, looking for some chance at vindication. The thing they should have said. The heroism they wish they’d found in that instant. King’s books capture this in a way that’s not just beautiful but sublime. They ask us to open ourselves up. To accept these lives in a way that many of us may struggle to accept our own. They instruct us to put down revenge and power and clear winners. And hardest of all, they ask us to trust that we may not always be saved, but we can always be redeemed. The question then is about empathy. Do we want to care about characters on our terms or on theirs? Do we want to be part of an endless war or do we want to believe in a way out? Do we want entropy or empathy?